Upon our return from the winter get-away, what a greeting I discovered in our mail pile. 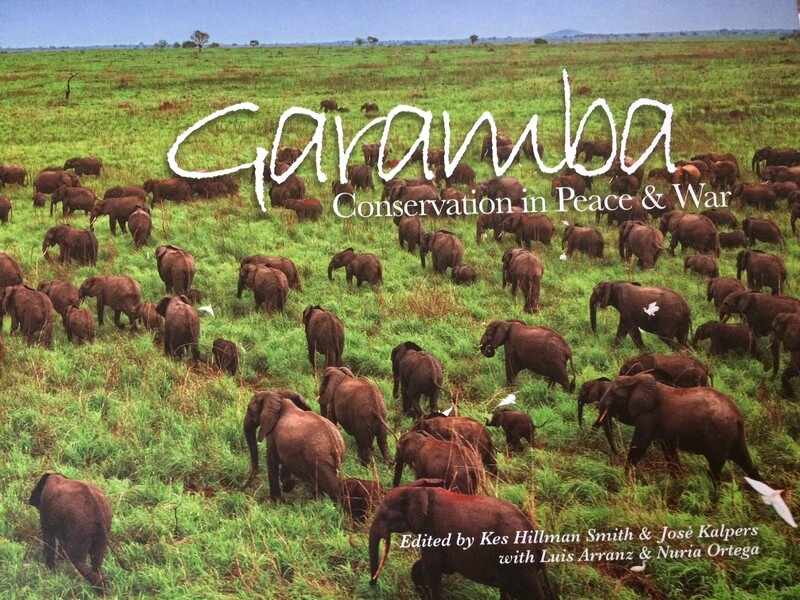 An a bubble-wrapped copy of “Garamba – Conservation in Peace & War,” a coffee-table book from Dr. Kes Hillman-Smith, the woman who acted as my “boss?” “advisor?” when I was doing my Master’s field work in Zaire in ’93 and ’95. 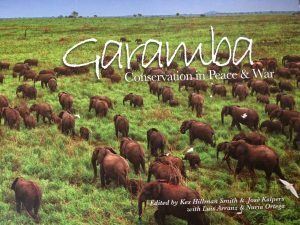 After I left Africa, Kes contacted me about writing a chapter for the Garamba book on the research focus of my Master’s thesis, and of course, I said yes. It’s been a long time coming – more than 15 years, I think, and now I have the book in my hands. It is much more book than I expected! They are $187.00 on Amazon! I am so fortunate as a contributing author to have been sent a copy. I realize that this is not something that people would just click and purchase because they are loyal friends, but wanted to add it to my network anyway. You should see the book. It is GORGEOUS. Considering the fact that conservation projects in places like Africa are always starving for funding, I hope they sell thousands of them. Whatever the case, it is a product worthy of the fantastic story of Garamba National Park and all of those who gave their talents and some much more for the preservation of fabulous wild land and irreplaceable creatures. Africa always sounds so exotic and fabulous (which it is), but living there, particularly for the native people is exhausting and labor-intensive. In many places, water must be carried home every day from one well. That is just one example of the difficulty of everyday life. Though I have been published on other platforms (newspapers, magazines and journals), this is perhaps the one which makes me most proud. This is due in part to its dedication to my African assistant, Atolobako Vukoyo who gave his life to protect the wildlife in his world. 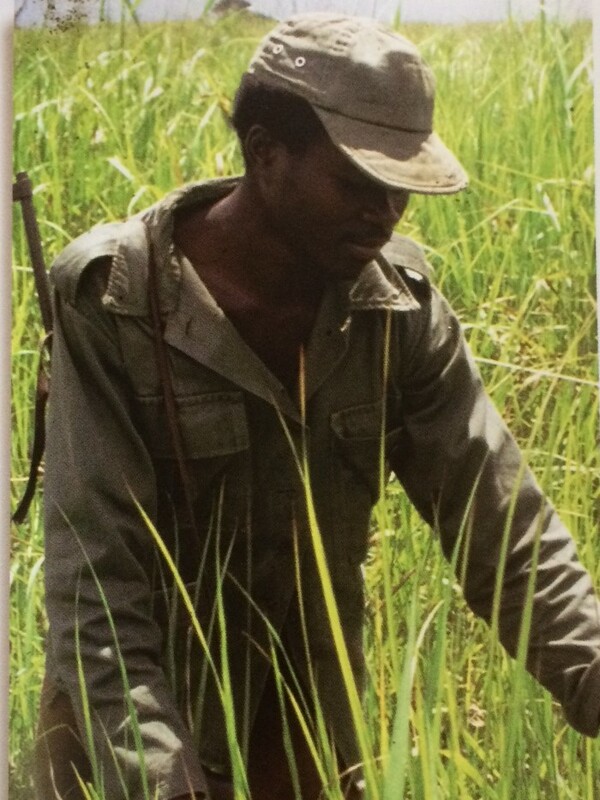 Kes also added a beautiful photo of Atolobako (pictured) from those days, a handsome young park guard who served as my guide and protector in the African bush. We endured many blistering hot days together in the hand-planted agricultural fields of Nagero Park headquarters, struggling with a creative mix of English, French and Lingala, but were always able to communicate the most abstract of ideas. He hovered over me when I got too close to the banks of the Dungu River and its 15 foot crocodiles. He looked after me as if it were his sole responsibility to make sure I made it out of Africa in one piece, and perhaps it was. I wish I could show you all the book (which echoes the stunning cover) – it represents the culmination of a very worthy project that ended prematurely due to political unrest. I often think about Garamba and all the people still living there, the constant failures of conservation as poaching rides on the coattails of political unrest. All of it can be overwhelming. It is heart-warming to see such a beautiful product of story interpretation arise from all the struggle.